The March/April 2017 show will feature powerful photographs documenting movements, political protests, and community actions. 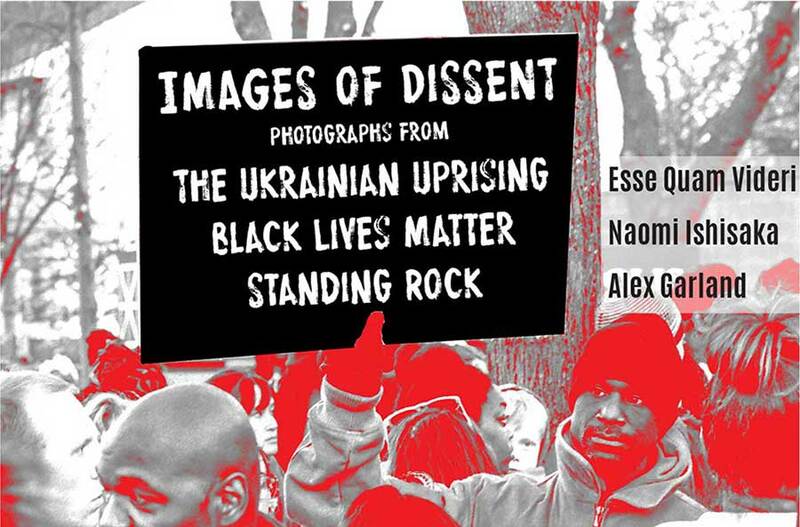 The three sets of photographs in the show are very different from each other, but all bear witness to the power of the people to rise up against unjust authority and oppression. Esse Quam Videri of Typonexus brought together a collection of images captured by six different photographers during the Ukrainian uprising of 2014, also known as the Euromaidan Revolution (Революція гідності, Revoliutsiia hidnosti). 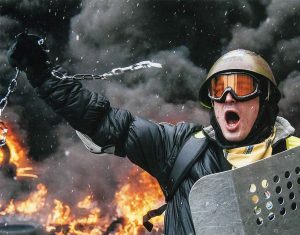 Each of the images in the collection shows an intimate proximity to intense conflict during a significant period of history in the Ukraine. 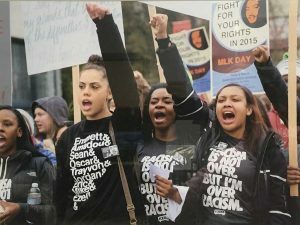 Naomi Ishisaka has been documenting the powerful imagery of Black Lives Matter protests in the greater Puget Sound region over the past several years. Each of her photographs is striking individually, and together they form a well-documented overview of movement and momentum in the streets. 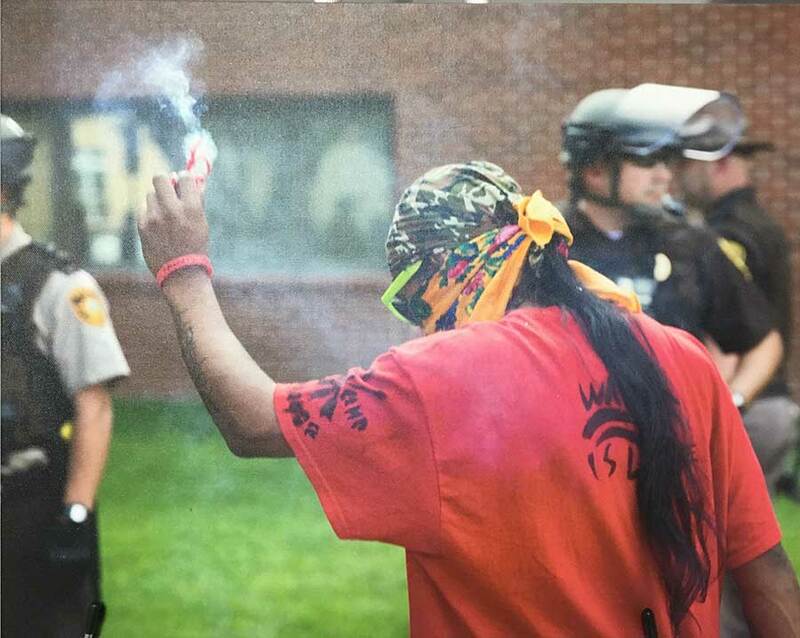 Last year Alex Garland spent three days at the Standing Rock Reservation in North Dakota, documenting the protests led by the Standing Rock Sioux tribe against construction of the Dakota Access Pipeline through their tribal lands. NOTE: 20% of the gross income from this show will go directly to the ACLU of Washington.